Snowy Mount Eddy is visible beyond the Sacramento at the inlet to Lake Siskiyou. The last several years have not been kind ones to the section of the Lake Siskiyou Trail that crosses over the Sacramento River as it flows into the lake. Even though severe drought had stricken Northern California, powerful rainstorms and last year’s deep snowpack managed to create river flows heavy enough to wash away significant portions of the lake shore and cause the river to close and open various channels within the river’s floodplain. This past winter was fairly mild, but was significantly wetter than the drought winters of a few years ago. Consequently, this is the first winter in many years that no significant alterations to the shoreline have taken place. In 2014, the trail was a well-built, well-marked path along the shoreline, crossing seasonal bridges that allowed hikers and bikers to travel the entire circumference of the lake. The trail, passing through a rocky flood plain, had been cleared of large stones, making for an semi-cobbled route. It was a scenic section of trail. 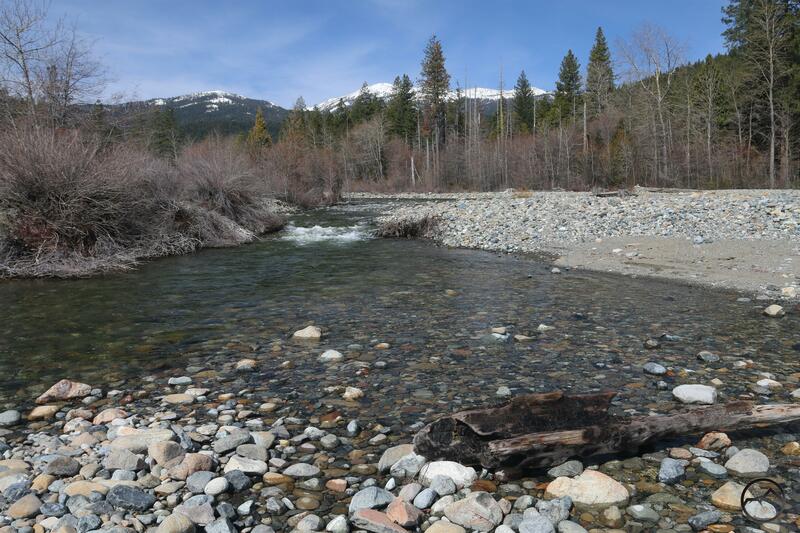 However, things began to change early in 2015 when a sudden storm brought enough debris downriver that the south channel, one of the Sacramento River’s two primary channels, was plugged up. All the water that had originally run through there was diverted into the north channel and the increased volume of water resulted in much of the northern half of the inlet area being washed out. This included the loss of the seasonal bridge and much of the trail. In an interesting twist, the southern channel remained completely dry and the bridge totally unaffected. Following the initial flood that significantly altered the landscape in 2015, the two subsequent winters saw further erosion of the inlet area. Though small amounts of water resumed flowing in the southern channel, the northern channel continued to carry the vast majority of the Sacramento’s water. The course of this channel changed significantly during these three winters, ultimately wiping out two bridges and approximately 550 feet of trail. Reviews of the damage up to last year can be read here, here and here. Both of these images were taken when Lake Siskiyou was at capacity. In the picture on the right, note the missing vegetation, increased size of the northern channel, the missing lagoon and the large, rocky flood plain that has developed. Significant amounts of rock were deposited by the Sacramento River while it was in flood stages. Original inlet condition circa 2013. 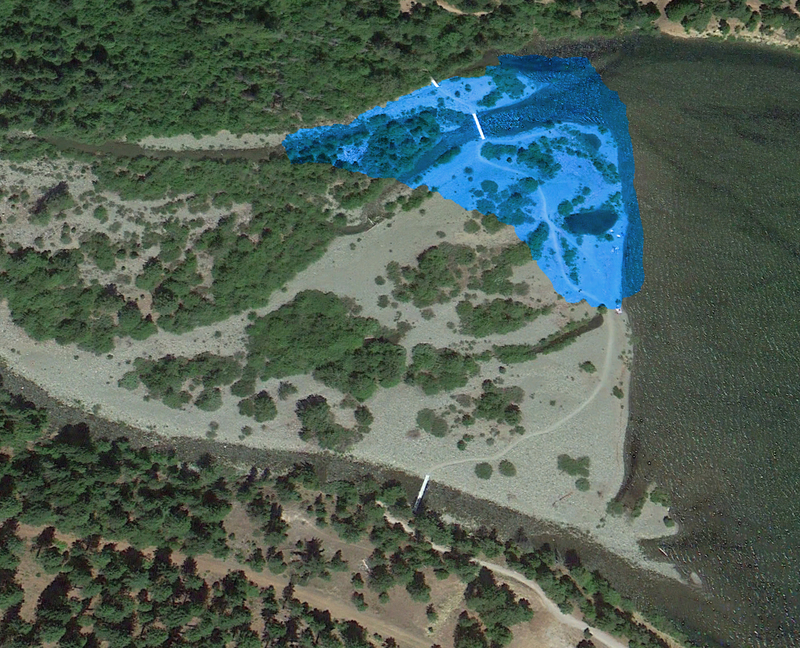 All the areas subsequently washed away are highlighted in blue. All this leads up to the current condition of the inlet area. For the first time in at least the last three winters, not significant changes have occurred along the Sacramento River. The route of the northern channel is essentially the same this year as it was last year. The final section right as it reaches the lake’s high water mark has deepened and some rock has built up alongside the channel but the path is largely the same as it was last year. 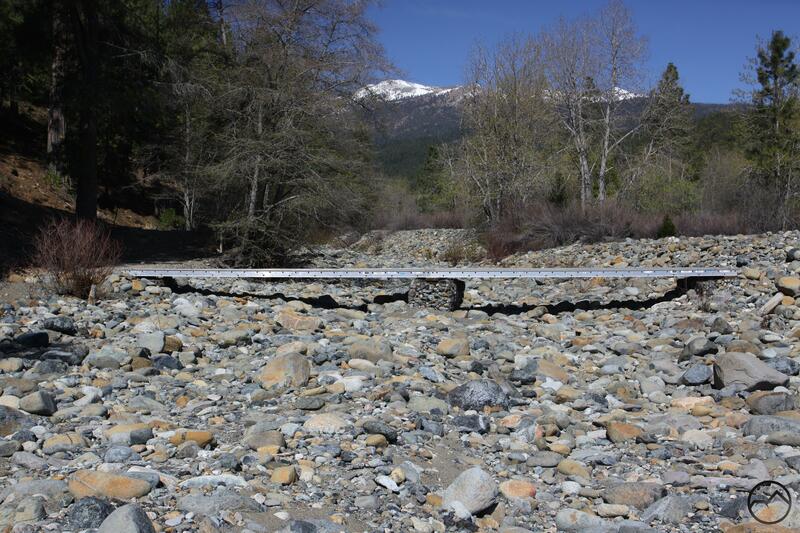 This means that, for the first time in the last several years, no improvements will have to be made to make the Lake Siskiyou Trail complete when it is time to place the seasonal bridges. While the changes wrought by the river are fascinating, the relatively intact conditions of the trail are a positive development. 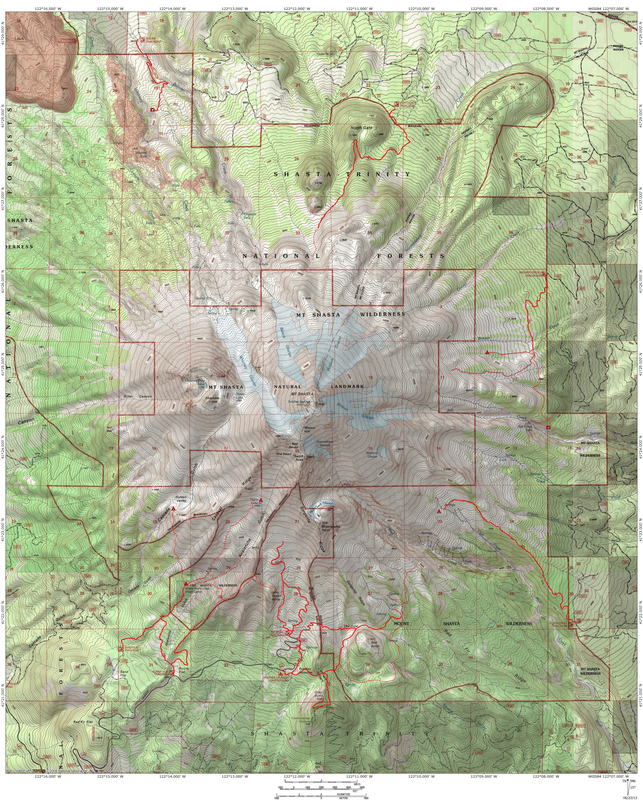 Perhaps the river has finally stablized its route and work can be done to improve the trail once again…with the understanding that all trailwork may be fleeting, since the river reserves the right to alter anything that lies along its path. Below are a series of images taken from the north side of the inlet over the course of the last 6 years. Note how the course of the river has shifted south. It makes the area appear as though the lake is really low when in reality, the area directly below the vantage has been built up with stone from further upstream. This, with the course of the river shifting north has really altered the area’s appearance (and granted, the lake was really full after the substantial precipitation that fell in 2017). Ultimately, I think the best course of action is the construction of a permanent bridge further upstream, where the river’s flood plain constricts. Until then, it is a positive development to see the river achieve some sort of equilibrious…even if it is fleeting.